One of the great things about being a missionary is connecting people who want to make a difference in the lives of others. Two weeks ago, I had the privilege of coordinating an outreach for Ciudad de Angeles orphanage for Zumba instructors, Melissa Mace and Holly Rose. The children were so joyful and full of smiles, asking if they could could back tomorrow to teach again, and if not tomorrow how about the next day. I am old before my time. Years ago I had a pager. I was working as a Youth Pastor and attending Seminary. Talbot was an hour plus from the Church so a pager was needed. Well, to be honest, I really used it when I was bored in class. I would beep myself and have to be excused. My professors must have thought I was dealing with serious at risk kid emergencies. You know, all those drive by situations in the Golden Ghetto of South Orange County. I have had cell phones and currently use an i-pad. My phones are always getting dropped, drowned or even tossed out the car window by my little girl. I drove down here really without a working phone, gps or any cool gadget. In retrospect a cool gadget would have been nice. In truth, I am now almost 10 months without a phone. My buddies wish I would get one, but then I would have to use it. Gia knows where I am and we live on an island, some emergency happens, everyone knows and passes it on. “Bald gringo with ugly feet and really brown back, struck by moto…tell Gia!” My point of this..yes, I have a point, is most of us have forgotten how to get by. If something is broken we buy a new one. If we need to add or subtract, we use our phone. We need directions, gps. Have a question? Google it. Turn the pages of a Bible, well no pages. Everything is clean, easy and fast. We are upset at a delayed flight and forget the marvel of it all. A slow bagger at a grocery store upsets us when we just purchased fruit that ten short years ago, we had never even heard of it. We have forgotten the joy of flipping an old Bible open and having it land on a marked passage that spoke to you many years ago. The smell of it on your face as you fall asleep, minor prophets knock me out. The pause as you put your memory to use to find Philemon. I still use my Seminary Bible. It is a Ryrie NASB. My first Bible was stolen at the frontera in Tecate, 25 years ago. This Bible has a Molokai Poi Company wrapper holding the bindings. It has my name written in the different languages of kids in my groups. A picture of Gia and my wedding prayer is the flyleaf. It is marked, sandy, a little bloody (whatever) and hard to turn some pages. This bums me out because I am a speedy Bible page finder and this handicaps me. I feel people are looking at me thinking ( geez, with a Bible like that you think he could find Psalms faster). Kind of like a huge guy walking in a gym and benching 135, I kind of wanted to see more. Some things stand the test of time. I could never love my I pad like I cherish my Bible. I cannot turn it in for a newer model. So, end of sermon. Find your Bible, bring it to Church, nothing makes a pastor happier than the sound of Bible pages turning. Well, a good pastor. Sorry, gotta go, just got paged. Joy, you know that overwhelming, your heart’s going to burst, lighthearted blessing you get when……..
For me, it’s when I see a child’s eyes light up, a smile spread across their face, hear laughter fill the room, and know that in that very moment I am making a difference; whether it be a small, happy memory that they will look back on later, or act of kindness that will change their life forever. This week our church, Iglesia Olas de Gracias (Waves of Grace Church), is hosting an Eggstravaganza at the neighborhood park. We will be having an Easter egg hunt, game booths, races, cake walk, food, and a puppet show telling the Easter Story. Please pray for the success of the event and that the families know that the reason we are here is to share the love of Jesus. We would love for you to be part of our ministry here in Cozumel. First and foremost we need prayer. Second, if you live here and would like to volunteer to help man the game booths, food booth, or setup and tear down, please email me at vistapacifica1@cox.net. If you would like to help financially, we need to purchase candy for the Easter Eggs, prizes for the games, hotdogs, chips and drinks for 300 people. You can donate directly to 7dayheromexico by clicking on the link below. I’m impatient and stubborn. I suppose it is something that I was born with. As I child, I remember sitting in the car, stomping on the horn trying to rush my mom to go to the beach. Mind you anyone that knew my mom, knows that she was always an hour late. I think it was God’s way of trying to teach me patience back then. But as often happens, the lessons you refuse to learn you get to learn over and over. There are certain things that you just can’t rush, like the tomatoes in my garden that have not turned red yet, or baking a cake (when you try, the outside burns and the inside remains raw). Yet still there are those things in life that your dream about, then put on a shelf, or maybe even forget about entirely. Then, several years later, you find yourself doing exactly what you said you wanted to do. That happened to me. When I was a young mom I used to w ork out to Denise Austin on T.V. She was an instructor from my hometown who would go to different resorts around the world and teach fitness. I remember saying, “I would love a job like that.” Three years ago, while on my very first Fitness Vacation Exchange, I was walking down the street in Playa del Carmen and the light bulb went off; God had put this dream in my heart 20 years ago and without even knowing, He brought it to pass. I was teaching Aqua Zumba and Zumba at a resort in Cancun, Mexico and sending other instructors to resorts to do the same. Thirteen years ago, my husband and I were walking the beach and he shared with me his dream. He wanted to have a bed and breakfast for “burned out” pastors. A place that pastors and their wives could come to rest, reflect and recharge. As a pastor, he’d been there and understo od the demands of the position and the need to get away and connect with the Lord. His dream, like mine, was put on the shelf, and then God, in his glorious timing has opened the door. A few years ago we moved to Cozumel, Mexico to serve as full time missionaries. We fell in love with the people. God has given us a passion for them that rivals our youth ministry days. We train up local pastors for ministry. We serve the local congregations in various ways, train and love people in the gym and dance world, practice and teach sustainable agriculture, aquaponics and soon beekeeping. We have chickens, turkeys, parakeets, a dog, tilapia, fruit and vegetable gardens and as mentioned above, bees. Like many things that one delights in, we want to share our world with others. The Lord has put it on our hearts to welcome pastors and their wives for a retreat that will hopefully serve as a spiritual, emotional, physical and intellectual catalyst. There are several different options, but they would all begin with a delicious, homemade breakfast with ingredients straight from the farm; eggs, turkey bacon, fresh fruit, breads and coffee. After breakfast, you can chose to relax at the pool, take the bikes to the beach for a snorkel, paddle board, workout at the gym or do aqua Zumba. All activities are led by members of our Christian communities. You can go on a historical excursion, tour, scuba dive, take a Spanish class, assist in an outreach, help at the orphanage or Sober Living House, learn aquaponics, sustainable agriculture techniques or do nothing at all. This retreat is designed for you to learn and experience something new. It is our goal is to help meet pastors’ needs, and provide an environment for them to rest, recharge and learn something about Mexico and its greatest treasure – the people. Please contact Eric at ericwlucy@yahoo.com for more info. We have had the opportunity to do some amazing outreaches these last few months. At Christmas, we had two different families contact us after reading our blog. They were coming to Cozumel on vacation and wanted to help. 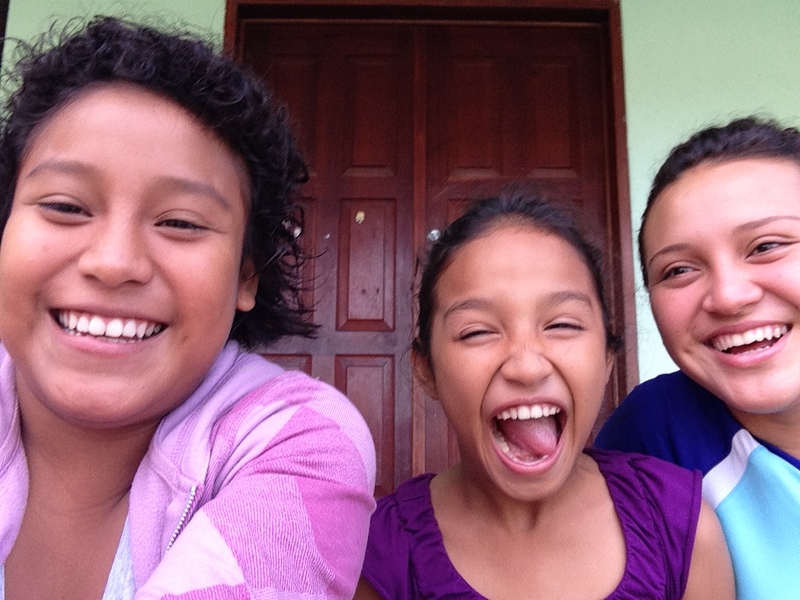 They wanted their children to experience giving and be part of the mission field. The only day that they were both available was Christmas Eve. It was perfect. 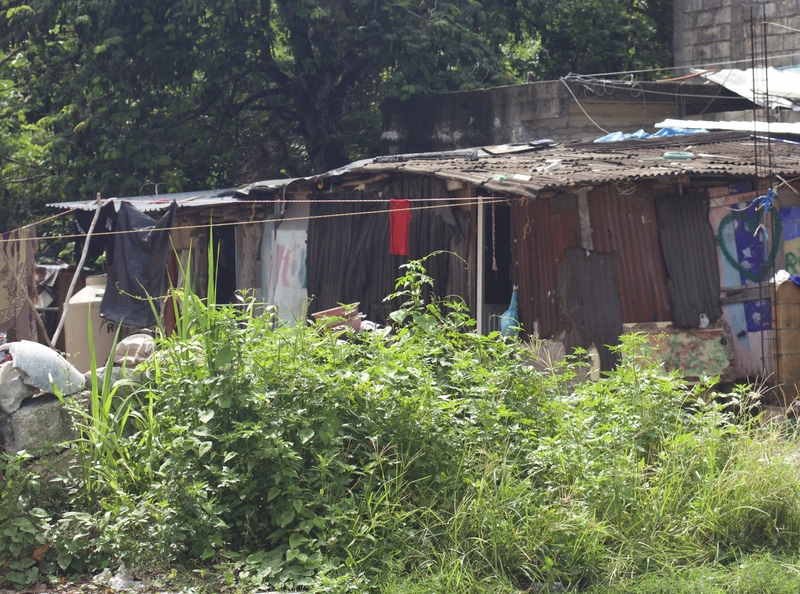 God laid it on our hearts to bless the people in the squatter’s village of Las Fincas. At first, it was just about giving them a rotisserie chicken meal to add to their Christmas Eve dinner. Then God made it into a community outreach. We invited a local church to join us and give a Christmas service. They are currently building a church in Las Fincas and it gave them the perfect opportunity to reach out to the community. We set up right in the middle of the muddy street. Many people came out to meet us and several people received prayer. The chickens were like the fish and loaves, we had such an abundance that after the service as we drove back to town we handed them out to families along the road. That day we gave out over 200 meals to needy families, but most importantly, we saw the work of the Lord in people’s lives, and the people received the Word of God. Today, our church will be hosting another outreach. We are reaching out to the children in the neighborhood with a family movie night. Last week we started promoting it, handing out flyers in the park and surrounding areas. What the volunteers shared with us, after handing out flyers, burdened our heart. Twelve year old kids were stumbling around drunk in the park. A couple of 14 year olds were in the outhouse smoking weed. What is happening? These are kids the same age as ours. Their hearts are sweet. They are there with homemade kites trying to fly them, crying when they break. But are being lured into darkness. It is our hope to provide them with a place to come. A place to learn about Jesus and the hope and promises that He gives us. Please pray for our outreach and these precious children. We are excited to share with you all about our training school on missions, sustainable agriculture, aquaponics and beekeeping soon. Stay tuned as we post again this week with additional opportunities for you and your church! “You’re such a chicken!” I find myself saying to the little chick, as she frantically clucks and waddles at full speed trying to catch up with the other chickens who have wondered down the drive. Sometimes, I can’t help but feel as if I am living in a Golden Book Story. Our chickens act exactly like the characters Henny Penny and Chicken Little, well they did that is, until we got the turkeys. 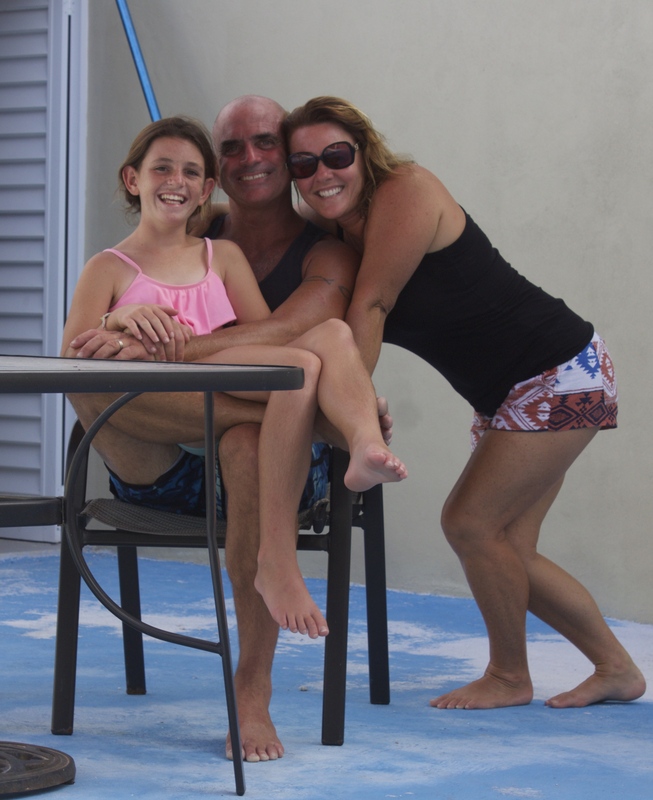 My family and I arrived back to Cozumel in September. We have been busy building a training center and farm for humanitarian aid workers on sustainable agriculture and aquaponics. As part of the project, we have planted a variety of vegetables, flowers for the bees, and local fruit trees. We purchased 10 chickens, 50 tilapia – to use in the aquaponic tanks, and 5 queen bees. Recently, my husband came home with 3 baby turkeys, which changed the dynamics of the farm forever (or at least until Easter). 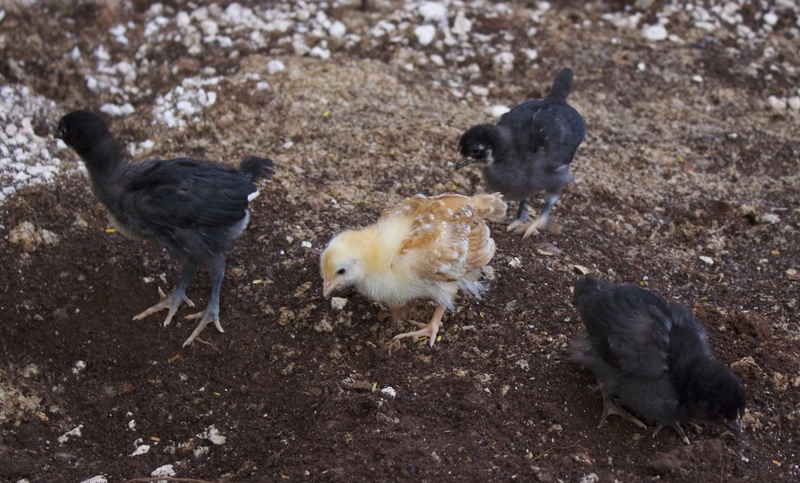 You ask, “What can three baby turkeys do to change the dynamic of the farm?” Well, let me enumeration the ways. The turkeys have taught the chickens bad behavior. The once scared chickens have found their bravado. They follow me, clipping at my heels and standing on my feet as I work in the garden. They even try to get inside the house, where our 150 pound mastiff patiently waits to eat them. Turkeys are crafty escape artists. We have built them a 12 x 12 foot yard, which they share with the chickens. The shade cloth roof has proved to be the wrong material to use. When the wind shifts or when it rains, the turkeys find the smallest flaw in the saturated fabric and climb onto the roost, plotting their escape. They jump onto the shade cloth, using it as a trampoline of sorts. Then, bouncing up and down, they get enough lift to gently sail to the ground. The chickens have followed their leaders. Turkeys are like locusts. The life of the turkey and the chicken is all about food. We feed them twice a day, plus give them scraps from the table. However, no matter how much you feed them, they always want more – thus their desire to escape into the garden. I’ve seen them as they walk by, they look at me and then nonchalantly snip off a leaf from my cucumber plant. Turkeys are insolent. They have no regard for the rules and are completely unabashed. I open my curtains in the morning, and at my sliding glass door, the turkeys and chickens whistle and sing when they see me. Keeping this in mind, I left to Riviera Maya for a week. It rained the entire time. The turkeys and chickens escaped and proceeded to eat every plant right down to the stem.The garden was gone. The bees flew away, and 30 tilapia jumped right out of the tank and committed suicide. We had to start all over, almost from scratch. The Lord is good and He showed us to focus on the people. That is His ministry. Oh, the farm is still here…..11 chickens, 3 turkeys, 50 new fish and tons of beautiful plants, but our hearts are turned to serving the Lord’s people. The moment we stepped out in faith, He opened up the doors of church ministry again. Eric is now the executive pastor at the church we helped plant. He is teaching a men’s bible study and doing one-on-one discipleship programs. The Spanish Pastor’s wife and I are beginning a women’s bible study as well as a youth group program at the start of the new year. God has big plans for the people of this island. In closing, I’d like to finish by telling you a little about how we celebrated Thanksgiving and how we are going to celebrate Christmas, as God has orchestrated so much. Christmas in Cozumel is such a beautiful celebration. The children have concerts and dance recitals in the square,and the music from neighborhood parties can be heard into the wee hours of the night. However, when I think of the people in the squatter village of Las Fincas and what Christmas looks like for them, I pause. They are poor and their Christmas Eve meals will not even look close to the abundance we are used to in the U.S. Here is where God shows up! Several weeks ago I was contacted by email from a woman in Arkansas. She wrote that she and her family will be vacationing in Cozumel over Christmas and would like to help us with our ministry. They are available to help on Christmas Eve. I tell her about the squatter’s village of Las Fincas and ask her if she would like to bring rotisserie chicken meals to bless the families there. I envision going door to door handing out the chicken meals. She loves the idea so much that she seeks others to donate towards the cause. Last week, I received yet another email from another family who will be vacationing in Cozumel over Christmas, asking how they can help. God takes my plan of going door to door and creates something grand. With over $900.00 US to purchase about 150 rotisserie chicken meals, we have decided to have offer a Christmas blessing to the Las Fincas community. We will be setting up at the park, and inviting the families to hear the Good News of Jesus and the Christmas story. We will have games for the children and pass out the chicken meals to 150 families. Here’s where you can help. If you would like to be a part of this ministry and mission, you can donate towards more family meals. The meals cost $6.50/family and 100% of your donation will go towards meals. Please click on the link below to donate via paypal, or email Eric at ericwlucy@yahoo.com for more info. If you are on the island and would like to help in the Christmas blessing please contact us via email to find out all the details. May God bless you during this Christmas season and the coming New Year! Ten months ago we left Cozumel, Mexico and our ministry there to move back to San Clemente, California. Our gym, that was supporting our ministry in Cozumel, needed to be sold. It wasn’t something that we wanted to do, and at the time we really didn’t understand why God didn’t bless the gym when we were during His ministry on the island, but as always, God has His ways. They say hindsight is 20/20 and indeed looking back now, we can see God’s hand in the entire event. We needed to grow, trust more, and wait upon the Lord, while the Lord worked in the lives of the people on the island. Returning to San Clemente, California had its challenges. 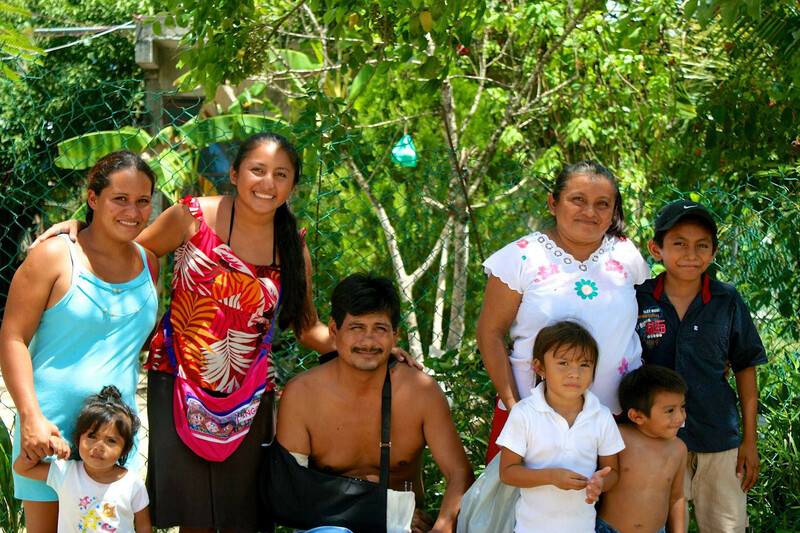 The year and a half in Cozumel, serving at the orphanage and squatter’s village opened our eyes to a different world. An impoverished world. A world where needs outweigh wants. So, as you could imagine, returning to Southern California where there is an abundance of everything – money, food, clothing, clean streets and people attached to their cell phones and selfie sticks – it was a shock. I still remember walking into a church during Christmastime and looking at the decorations, beautiful as they were, and thinking, “I wonder how many people we could reach for Christ with the amount of money spent on these decorations.” Needless to say, it was hard for us. But, God is good, and we came to understand we cannot judge others for things they haven’t seen. Don’t get me wrong, we were blessed in many ways too. We got to reconnect with our home church, friends and family. We were able to attend our son’s college graduation from UCLA, and then give him and his fiance an engagement party. We even spent many happy days bodyboarding the waves at some our favorite beaches in San Clemente. So, it’s been 10 months since my last post. I wanted to wait until we got back to Cozumel before writing again. We knew the Lord would bring us back here. He is always faithful to His word. One of my favorite verses is Psalms 37:4 “Take delight in the Lord and He will give you the desires of your heart.” And indeed He has. During our first stint in Cozumel we were green. We came eager to volunteer. Any door that opened, we jumped through it, thinking it must be God. We gave it our all and we are happy to see the people who gave their life to the Lord despite us. This time, we hope we are a little wiser, a little more mature. We have been here a few weeks and Eric has been asked to speak 3 different times at 3 different churches. This time we pray, and wait upon the Lord. Our mission is also different this time. More refined. We are still working with the children at the orphanage, teaching sustainable agriculture and loving on the kids. But our real goal is to create a training center for missionaries to learn sustainable agriculture, aquaponics, water purification and beekeeping. The vision is to have short term groups and long term students come volunteer, work at the orphanage, senior’s home, schools, library, etc. We want to train them in all aspects of service, from the biology involved in agriculture, the language and culture of Mexico, even the basic things like machete work and using a hammer, so that they can go out to other parts of the world, take what they have learned here and make a difference. Most of the teams that have come down are woefully unprepared. So much of the training should have been done at home. What we are seeing is a different generation of not only young people, but of leaders. The leaders have hearts and desires to serve, but they have never been trained adequately. Therefore, we see teams repainting buildings or doing poor work. Our goal here is to create a different training and experience, one that excites people for service, gives them an impetus for change and is truthful on what their impact is and can be. We want to work side by side with the different cultures, teaching and learning from one another, as true friendships do. With this in mind we are creating a school of service. A three month term will provide you the tools to make an impact for Christ, not only spiritually but also meeting people’s basic needs of food, water and shelter. We are still in the beginning stages. Our chickens are small, our plants only seedlings, but if you are interested, please contact us at ericwlucy@yahoo.com. We are always willing to host people who have a passion for Christ. This month we will donate a beehive, aquaponics tank or chicken in you name when you donate to 7 Day Hero, Mexico Mission! Is it the amount of plants we grow? The amount of people we feed? The number of educational classes we provide? The amount of land we clear? If we were to measure our success in the aforementioned terms, we would have fallen short. We will always fail. There will always be more people we should have fed. 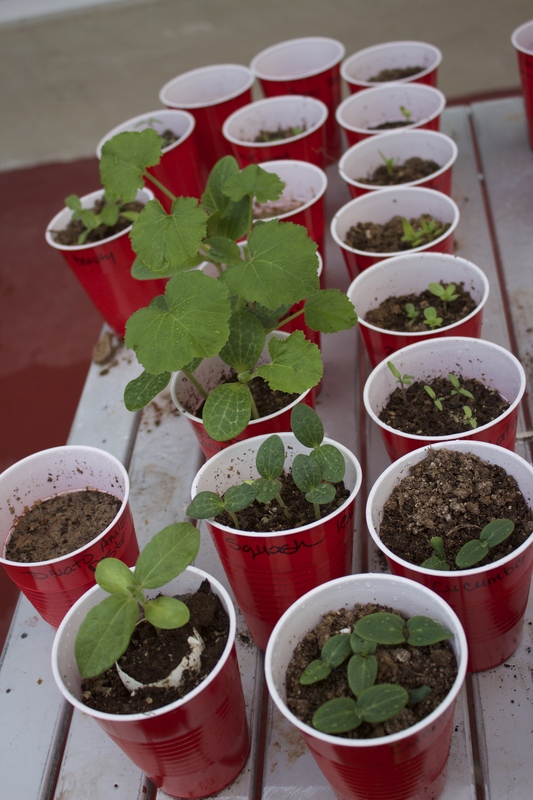 More plants we could have grown, more classes we needed to offer….in other words, there will always be more need. The true success of a mission cannot be measured by the physical “things” we do, but solely by the way God changes the hearts and lives of people. The relationships that God brings into our lives, changes not only their hearts but ours too, so that hopefully, prayerfully we draw closer to God. It begins with being obedient to God’s call. Three plus years ago, we woke up with a song. It danced around in our hearts and in our minds like one of those jingles that you can’t get out of your head…. and it led us to Cozumel. ……and its melody plays once again. The Lord has called us back to California. Before we moved to Cozumel, our idea was to bring teams of people to the island to provide humanitarian aid in the name of Jesus. The longer we lived in Cozumel, the more that notion got placed on the back burner. We met people on the island who wanted to help, and we loved doing the work ourselves, but that is not God’s plan. Thru service you are blessed beyond measure. I wish I could bottle up His blessings and pour just a drop upon you so that you can know the abundance of joy God gives you when you obey. His word is not only law, but a blessing, the problem is, putting it in a bottle or sharing it here over the internet, does not work. It occurs when you step out in faith and get your hands dirty, when you are a bit scared, embarrassed, out of your element and completely surrendered to His will. It occurs when you look beyond your own felt needs and you start seeing and feeling the true needs of others, when your comfort is less important than the people you are called to serve. It comes when you cry, physically cry over the misfortune and poor choices of the ones God placed in your life. So, we are back in California for a season..to help our fellow Americans, to bring them to serve those who live in less fortunate circumstances. Yes, there is need in the States but something changes a person when they are in a totally different culture, seeing poverty, people in need – with no government to assist. So, we persevere here and ask for teams, churches, clubs, and athletes. Of course we are faith based. You might not be, but if you have the means to serve with your strength, heart, mind, and soul, get on board. It is to change you by the way. It is to teach our people to put down their cell phones and turn off their computers, look around, use their hands, make a difference. God has brought us back to our original mission; to bring teams and individuals from the U.S. to minister to the island of Cozumel. If you would like more information, please email Eric at ericwlucy@yahoo.com. Thank you for your continued prayers and support. If you would like to make a non-taxable donation toward 7 Day Hero, Mexico’s mission, please click the link below.